This post pulls together everything I’ve had to say on the subject of how ride-sourcing companies like Uber could impact cities. I hope to leave this topic for a while! Henry Grabar at Slate has a good piece on an issue that I have been raising the alarm about for a while. The rise of ride-hailing companies is increasingly viewed not as a fix for bad service but as its justification. It is invoked, as you might expect, in bad faith by [people] who have advocated against public investment for decades. But even pro-transit politicians and officials have begun to see ride-hailing services as an acceptable substitute for public transit. As a result, cities across the country are making important decisions about transportation that treat 10-year-old companies as fixed variables for the decades to come. Regardless of their corporate intentions, Uber and its ilk are doing harm to transit — and thus to transit-reliant dense cities — in two ways: one in the politics, the other in the reality of competition on the ground. Politically, as a working consultant, I can confirm Grabar’s observation that “Uber” is becoming as a generic reason to let transit fall apart. I am constantly told that Uber will make transit obsolete. As Grabar notes, some of this is just easy rhetoric for people who dislike transit for cultural reasons, or who oppose public investment of any kind. But much of the confusion arises because people sincerely don’t understand how narrow the range of opportunities is for ride-sourcing to improve on fixed route transit’s efficiency. Even an empty-looking suburban fixed route bus is usually doing over 10 boardings/hour, way more than you could ever do in any taxi-like mode that’s taking people to their door. Competitively. We know Uber is unprofitable, which means its prices are unsustainable. As always, unsustainable means: “It would be folly to plan your city around the assumption that this will continue.” We are not sure exactly how unsustainable Uber is. Grabar cites an analysis by Hubert Horan that suggests Uber may be covering as little as 41% of its costs with fares, but Bloomberg’s Eric Newcomer thinks that reflects one-time losses from their failure in China. More journalists need to be digging into this. People making urban policy need to know whether the “Uber” that people experience is a permanent thing in the landscape, because a belief in permanence is essential to planning and development. These two strands converge in the geometry problem that is at the core of urbanist alarm: If travelers shift from larger vehicles (like buses) into smaller ones (like Ubers) you increase Vehicle Miles Travelled, which increases congestion, emissions, and the demand for road space. This is tolerable in low-density areas but an existential threat to dense cities. None of these would be problems if the higher cost of smaller-vehicle services reflected the true cost of their inefficient use of space. But as we know, cars’ inefficient use of urban space is rarely reflected in the cost of urban driving, and Uber skates through on the same invisible subsidy that all urban motorists enjoy. Transit, which doesn’t enjoy any such subsidy, is unable to properly reflect its efficient use of space in its pricing. I’m sure that someone’s going to say that “Uber isn’t trying to damage transit.” That’s not a response to any of these issues, because the issue is not intent but outcomes. Uber’s behavior often looks like an intentional effort to undermine competitors and thus reduce customer choice — in which case you’d call it predatory pricing — but it doesn’t matter what the intention is. Underpricing is a blunt weapon with zero targeting ability. It mows down everything in its path. Obviously, Uber is doing what all companies do, including trying to limit competition. There’s no point in criticizing them in particular for that. Such a critique would have to be leveled at all the underlying assumptions of American capitalism. And there’s no doubting the value of these companies in the lives of fortunate people who can afford to use their services routinely, or that they have positive roles to play in parts of the urban transportation picture, such as low-demand areas. But it’s time to quit discussing Uber and similar companies as though they were improving the world in a permanent way, and as though they will necessarily make cities better for everyone. We already know that’s not true. Governments need to regulate to expand the opportunities these companies, but must also respond to threats that they pose. All this can be done very politely, by the way. Many people who work inside of big companies understand perfectly well how the profit motive conflicts with what you’d do if you were just trying to foster a better city, and many welcome regulation precisely to plug that gap. Uber has decided to test its fleet of driverless Volvo XC90s in San Francisco, but it declined to get a permit from the California DMV, saying that an engineer is behind the wheel at all times, so Uber believes a permit is unnecessary. But the DMV sent a letter to Uber demanding that it get a permit or take its cars off the streets. Already in early testing, a driverless car was caught on a taxicab dash cam video running a red light, according to the San Francisco Examiner. The point is not that Uber’s farebox recovery is or is not comparable to public transit. The point is that Uber et. al. are being held out as a low cost alternative to public transit that justifies reduced investment in transit. Its end user costs are currently being subsidized by investors. It is worthwhile on many levels to point out that its cost will have to increase substantially sooner or later. This is happening locally in Los Angeles where the mayor of Beverly Hills (an independent city surrounded by Los Angeles) is actively fighting transit investment and construction citing the idea that ride sharing services make transit obsolete. When confronted with the fact that ride sharing is operationally identical to taxi service, he points out that ride sharing’s “low cost” makes it a viable replacement for transit. Jarrett, while a *single* taxi vehicle would not be able to manage 10 boardings per hour, a half dozen of them surely could. Looking at the economics of the *current* Lyft/Uber models rather misses the point. I don’t believe that there are many credible claims that *human-driven* cars could replace mass transit, even in coverage routes, except for perhaps the (very expensive) para-transit services. Rather, it seems that transit planners are being asked to address the very real possibility that *autonomous* vehicles will be put in service in the next two decades. An *autonomous* taxi-like vehicle could wreck havoc on the economics of all but the highest densities of fixed-route transit. That won’t matter much for high-density metros with high levels of transit usage. But some of the metros that Grabar talks about don’t fit that model (Nashville, Tampa, even Detroit) – and they *certainly* don’t meet that model once you get outside the very center of the metro. If autonomous vehicles are an economic reality in a decade or two (and that is a very big “if,” but one that transit planners ought to evaluate), then undertaking an expansion of transit outside of the CBD/Urban Core is a dicey proposition. It’s certainly true that ride-share systems might make more sense on the outer edges or in lower ridership areas where per rider costs are higher and congestion is not such a big issue. But I think it is important to remember that what we are talking about are taxis. They may or may not be driven by a “professional driver” or by a computer, but at the end of the day, autonomous or human, it’s a taxi. Taxis do not make sense now for most of the jobs that transit handles. They only will if the new taxis will be massively cheaper than the current ones. While autonomous taxis might have the potential to run at lower cost, I’m not so sure it’s obvious that the costs will be THAT much lower. Particularly if we’re talking about a future where energy costs and efficiency demands continue to rise and where population density/congestion concerns continue to rise. 6 autonomous cars might be able to handle the same passenger load as a single bus in some areas and times. But is that truly going to be cost, efficiency, space usage preferable? I don’t think that’s nearly as clear and those trying to kill off investment in transit like to claim. It’s not clear, in the sense that no one yet knows what the cost of an autonomous car will end up pricing out at. But the argument that’s being made is that initial evidence points to a cost that makes a small fleet of autonomous “taxis” cost-advantageous against many areas of mass transit service – especially the *marginal* areas that metros are trying to *expand* into. Taxis don’t make sense now for most of the jobs that transit handles because drivers are expensive. Eliminate the driver, and taxis still won’t make sense for most jobs that transit handles….because most jobs that transit handles take place within the greater NYC metro. But once you get outside NYC (and perhaps a small handful of other metros like Chicago or Philadelphia), taxis *could* handle a lot of the jobs currently done by transit – if (and only if) taxis were cheaper than they are today. If you believe that autonomy will always be too expensive to be practical, then obviously it will not displace transit. What Walker is arguing is that *even if* autonomy is cost-effective, it still can’t displace much transit because of spacial limitations. While that may be true of a very finite number of areas (like NYC, obviously), it is not true in many other cities (like Tampa or Nashville or even Detroit). Six taxis still take up more road space than a small bus, though. > I am constantly told that Uber will make transit obsolete. I think this is highly jurisdiction dependent. 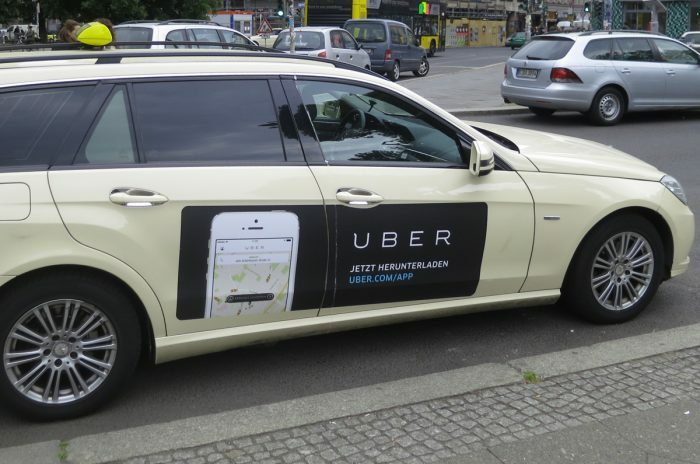 In most cities, Uber is seen as a point-to-point complement to public transit. In many cities, not many people can afford to use Uber as transit (an Uber ride is usually about $5; compare that with a subway ticket which is $2-$3 and covers the entire network). I think Uber is only seen as being competitive with public transit in cities where the price segmentation between public transit and Uber overlap, and the latter is much more convenient than the former. This is not true in cities like New York or Boston. > We know Uber is unprofitable, which means its prices are unsustainable. That seems to be a tenuous conclusion to leap to. Uber is current unprofitable because it is growing rapidly in a multitude of geographies to gain mindshare. A large chunk of its losses are due to the fact that it is subsidizing new Uber users through a variety of promotions. This strategy is similar to that adopted by Amazon in its early days. Once Uber corners the market, you can be sure that promotions will cease, and that prices will adjust. The profit margins for a virtual platform will usually be much more favorable than any entity that owns physical depreciable assets (that’s how Microsoft made loads of money while IBM lost money on hardware). If you do a Porter’s five forces analysis, the strategy seems plausible. I’ll just point out that Uber is not a virtual platform without physical assets. They have just shifted the ownership of those assets onto their employees. And one of the ways they are keeping prices low is by relying on the drivers’ lack of understanding of how much their assets are losing value for every mile driven. Beyond just the willingness to sell at a loss to fund growth, this aspect also makes their current model unsustainable. At some point, their business has to account for paying for the physical assets used in the business regardless of who technically owns them. THIS! Uber is very akin to an inverted transportation ponzi scheme – the cost distributed amongst a myriad of people who do not realize it [due to sunk-cost fallacy, and the delay between cost and expense]. Wilbur. Your last paragraph is precisely my point. Yes, once Uber abolishes customer choice by cornering the market, they will charge what they like. This is exactly why urban planning should not assume that Uber is going to continue in its current form. Do uber really offer a unique product though? If they got greedy, you’d just get some other app start-up that would become the “disruptor” against them. Reads like you are doubling down. Not only are you gambling on Uber maintaining stable prices you are now gambling on an unknown company ‘disrupting’ maintaining an average stable price. But isn’t that a flimsy conspiracy theory there? There are very few true monopolies around. It’s like saying public transport will corner the market by being so cheap that once cars are gone, the fares will be suddenly raised to extortionate levels to raise revenue. You cannot chase revenue this way. Setting up a rideshare business has very low entry costs. Try and increase the price too much and competitors come in. And there are heaps of competitors. Personal car is one. Bicycle is another. Transit. Walking. You are never ever going to monopolise with alternatives like that. If we can apply autonomous technology to small vehicles, we need to focus on large capacity. According to SFGate, Uber refuses to comply with City and State demands to halt Uber driverless car testing in San Francisco because it believes it does not need a DMV permit (despite a written demand from the DMV to get a permit or else). California’s Attorney General may file suit in order to force Uber to follow regulations. This also misses a crucial point that most transit systems are a lot less useful than then seem. NYC and LA don’t go the their airports. NYC is about the only line with Express services, and those tracks were laid, what, 100 years ago, same time it’s taken to finish the 2nd Ave Subway. Busses get stuck in traffic. Changes in service everywhere are decades in making. They’re so unresponsive. If rail transit, local and long distance, was run with the same attitude as air service, the care would be the inconvenience. Sure, “Take Transit”…if you have 10x the time. Here in LA county, transit is rarely takes more then 2x the time of driving directly, and its sometimes faster. Every transit agency here also makes schedule and route adjustments multiple times a year. Most cities don’t focus on rail service to the airport because it is not a high demand route. It may be an obvious service or lack to a visitor, but it doesn’t mean that much to the average resident day to day. While it is true that rail service cannot change routes quickly, it’s generally rare that it needs to. Most cities’ general geography doesn’t change that fast either. Bus service can be adjusted very quickly and is a major component of all major transit systems. Case in point is San Francisco BART which connected to the SFO airport and only just started being considered a worthwhile investment. In fact it started off at 50% the expected ridership, no doubt due to the after-effects of 9/11 and opening in 2003 and only in 2014 reached that ridership they expected in 2013. Meanwhile the Oakland Airport connector also cost a lot, was in revenue service in 2014 and failed to meet ridership expectations. NYC has an embarrassment of mass transit to the airport. You can take NJT to EWR, either LIRR or the J/Z/A/E to get to JFK, and a bus (the Q70 or M60) from several different subway lines to get to LGA. “Transit” goes to all 3 of our major airports. And your planing & legislative problem was … ? If we take the ‘urban geometry’ perspective that Jarett likes, are cabs (in which I include ride-hailing, uber, etc) good or bad? Jarett and many others suggest that the answer is they’re uniformly bad, or at least don’t offer much clarification to the contrary. The answer is, it depends. Are you talking about Los Angeles or Manhattan? Dallas or Paris? What matters is, how prevalent is mass car ownership already? What is the status quo? It’s hard to see the growth of cabs as bad, when the alternative is mass car ownership. But the cab critics are only comparing to transit – which is a plausible frame of reference, but only when that is the dominant mode. Compared to mass car ownership, cabs mean fewer parking spaces per user, and less political demand for those spaces. Cabs are also expensive enough that few people rely on them uniformly, and instead use a melange of biking, transit, walking and cabs, as circumstances and preferences dictate. Uber and Lyft have also become more reliant on shared rides over time, where they’ve been introduced. As their services become more like transit, their harm on ‘urban geometry’ will decrease. In most American cities, it’s not a battle of transit vs cabs, it’s private car ownership vs everything else. Even in those dense places like Paris, most of the traffic still owes to private car ownership, and government subsidies and protections of that. It’s disingenuous to criticize Uber while remaining silent about cities propping up private car ownership. If solo cabs are not a viable option as a popular transport mode (say, 50%+ mode share) for dense cities, then mass car ownership *certainly* isn’t. Some fair points about the balance between private cars and cabs. But I think what Walker is talking about is specifically cabs (Uber, etc.) versus public transit. I think his simplest point is that if you take large numbers of people out of transit and put them into individual cars (or even “shared” cars) it will be a big problem for traffic, congestion, and cost. Transit moves larger numbers of people more efficiently that any cars based system can. The potential for either current ride services or autonomous vehicles to supplant private car ownership are very interesting and have potential to reshape a lot about transportation. But I think that has little to do with whether or not we should stop building and supporting transit services because Uber is relatively cheap compared to transitional taxi services. I personally view Uber and Lyft as a complement towards the good parts of public transit and a replacement (for those willing to spend some money) for the bad. As someone who occasionally travels to suburban neighborhoods with infrequent buses, having the Uber option to get home when a bus isn’t coming for a long time is greatly appreciated. That said, I still ride transit for regular commuting to/from work, and it would be very hard to imagine a level of discount that would allow Uber to make sense for those trips – transit works too well, and even with deep discounts, Uber is still very expensive if you ride it 10 times a week, every single week. In practice, the percent of transit rides I’ve been making that have switched to Uber is very time, and those that have switched did so to avoid truly awful experiences – like a 20 minute Uber ride replacing a 45-minute wait for a 30-minute bus ride with an additional 20 minute walk home after getting off the bus. What Uber has seriously reduced, if not, nearly completely replaced, however, is my usage of Zipcar and similar rental car services. In many cases, combinations of express buses and ride-sourcing can save as much as 50-80% of what a rental car used to cost, while not really eating up any more time (essentially, the overhead of riding transit partway and the overhead of picking up/returning the rental car approximately cancel each other out). On a more macro level, I am also not worried about people using Uber as an excuse to dis-invest in public transit. Seattle and Los Angeles both voted to raise taxes for more transit just last month, even though driverless Uber will probably be all over both metro areas before most of these newly approved transit lines even open. Even Uber, itself, has publicly endorsed transit measures, seeing anything that reduces the need for private car ownership as good for its business. Uber has also released some data in the San Francisco Bay area, indicating a significant number of pick-ups and drop-offs at CalTrain and BART stations. In the end, the private and public services are going to complement each other, not drive each other out of business, and no matter what Uber does, public transit is certainly not going away. Speaking of this applicability, a low end inclusive solution might be shared taxis or minibus, more public and affordable than mainstream ride-hailing and ride-sharing. It’s true that labor cost and thus frequency discourage transit usage in low demand areas. While it might not help much, a more flexible on-demand provision of service emulating the said gentrified private counterpart should do more justice than a much-despised yet relied-on bus. Between having a bus or nothing for the bad parts of the transit system, something in the middle makes more sense, akin to trams or BRTs across the bus-metro gap. “Between 60% to 70% of major cities in the US are paved and I think that is a shame. And so step one in the process of returning to a city designed around people and for human interaction is changing the fact that the city needs to be designed around a privately owned car. That’s what’s motivating myself and our team,” Zimmer said. … once autonomous cars are introduced, traffic begins to be reduced and the commute time becomes 30 minutes or shorter. This could help drive the value of the property in these areas outside the city up. “You can make that real estate more valuable and then you can drive local economies in those surrounding geographies,” Zimmer said. Ride hailing can function as a complement to transit, if it’s treated that way. If cities and transit agencies only support (e.g. subsidize, make permits easier etc) ride hailing on the low density fringe, then it can work that way. But a lot of anti-transit folks are indeed using Uber et al as an excuse not to fund transit. I’ve seen this attitude at work in the creation of a transportation tax measure in California. Suburban politicians fought against funding transit operations every step of the way. The argument that buses will soon be replaced by Uber was a prominent reason for this, even as these same folks were constantly complaining about traffic congestion. Streetsblog USA has article on 3 reasons why Uber/Lyft can never replace transit. Among them is that rideshare and transit have different peak periods: transit’s peaks are in the early morning and early evening, while rideshare’s peak is at night when transit is lax. That shows that the two are complementary, rather than incompatible. Only in the smaller towns or in suburban areas would rideshare be of more use. SFGate and Business Insider has reported that the California DMV has revoked the registrations of the 16 Uber autonomous test cars, saying that it was not told these were test vehicles. So Uber now has no choice but to apply for a DMV permit for autonomous vehicle testing (and the reporting that they were trying to avoid) if they wish they were to continue their research on San Francisco streets. In stories published by the Mercury News and Wall Street Journal, it was reported that Uber has halted their autonomous car program rather than get a permit from the DMV. Uber is now considering their options. In another article from the Mercury News, it was reported that Uber will move its autonomous car program to Arizona after the governor of the state welcomed Uber’s move. Arizona treats autonomous cars as any other vehicle, so Uber can keep its mistakes to itself and not have to report it to a government agency. Autonomous vehicles not only change the cost structure of ride share, they also change the cost structure of transit. For a bus, the driver’s wage is the largest cost. The cost of transit service will drop, which could mean more frequent service, less public subsidy, or lower fares. PROVIDED you have road-space – which you don’t. Whilst planners shouldn’t ignore the impact of Uber etc, the future of those services and autonomous vehicles is far to unpredictable to base firm planning decisions on. Where they are included in future transport models this article and others like it do make the important point that various sensitivity analyses need to be considered rather than just the rosiest prediction. Autonomous vehicles are often spoken about as some utopian dream leading to the ludicrous claims that they can replace transit without apparently considering the road space factor. For example, London streets are already seriously congested and the tube ridership can be up to 5 million journeys per day (alongside buses, trams, light rail systems etc). I doubt that uber will make the tube redundant any time soon! Congratulations on the publication. To Uber every day more has evolved around the world helping drivers, passengers and respectively a city. It is also loved by many and hated by a minority.